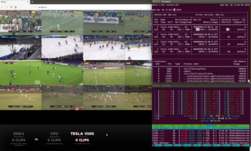 At the GPU Technology Conference in San Jose, California this week, Southern California-based startup REELY, showed off their deep learning platform that automatically generates sports highlights in real-time. “We run multiple neural networks in tandem, watching for multiple different things, such as event detection, scores, audio analysis, player tracking, and scene recognition all in real-time,” said Cullen Gallagher, REELY’s CEO. We first told you about REELY in October of last year. Since then, the startup signed a deal with St Louis Blues, an NHL franchise, the University of Kansas Athletics, and Major League Lacrosse. They also signed a data agreement with Sports Radar, a leading sports data company and a partner of the NBA, NHL, and NFL. For their demo at GTC, Gallagher’s team used NVIDIA Tesla V100 GPUs and TensorRT on a DGX Station. 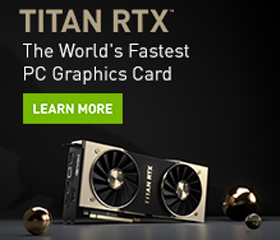 REELY also uses NVIDIA GPUs on the Amazon cloud which enables them to scale their services to meet customer demand. Their end goal, Gallagher says, is to develop a deep learning system that understands sports as well as humans.